We just moved our Gillette office into Suite 701 of the First Interstate Building. We will be sharing our office with Jeremy Michaels and Deb Michaels of Michaels and Michaels, PC. Berger & Brown gets to work side by side with these two amazing attorneys. Dwight Hurich (retired): Attorney Dwight Hurich has offered family law services to Campbell County, Crook County, and Weston County Wyoming for over three decades. He retired in November of 2018, but in 2016, 2017, and 2018, his law firm Hurich Law Office was of counsel to Berger & Brown. He served as a family law mentor to Alex Berger. Berger & Brown benefited enormously from having Attorney Dwight Hurich involved. Rosie Maynard (legal assistant): Office manager Rosia “Rosie” Maynard worked for ten years with the Hurich Law Office before joining Berger & Brown full-time. She has extensive experience in working with the courts to file matters and get court hearings set. She also knows exactly the information clients need to make their case run smoothly. Rosie makes sure that the office operates efficiently and compassionately. Darlene Ganje (legal assistant):Darlene brings 10 years of legal staffing experience to our firm in the areas of civil litigation, estate planning, real estate, and medical malpractice. Darlene is passionate about assisting her clients. In her spare time, she enjoys traveling and enjoying the outdoors with her family. Stevi Smith (receptionist): Stevi is from Powell, Wyoming, where she grew up on her family’s farm. After graduating from Powell High School, she attended Northwest College, and the University of Wyoming for a year. While still figuring out exactly what she wants to do, she began working at a local coffee shop in her hometown, Uncommon Grounds. Stevi has been fortunate to find a job with Berger & Brown, after discovering an interest in legal assistant work. Check out our story for more information. 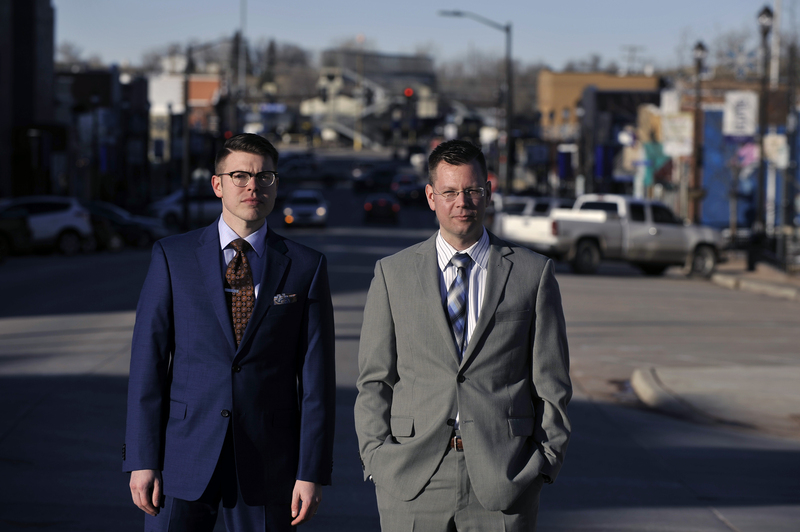 At Berger & Brown, our team of experienced attorneys offers outstanding representation for an array of legal issues in Wyoming with offices in Gillette and Newcastle. With a focus on family law and personal injury, our attorneys can assist you with divorce, including high-asset divorce and contested or uncontested divorce, as well as other legal family matters including spousal support, child custody, division of assets, and more. In every case, our attorneys strive to provide you with the reliable representation you need and the compassionate guidance you deserve. As our story shows, we understand how overwhelming it can be to navigate the legal process, which is why we’re here to help you every step of the way. Call Berger & Brown at (307) 257-6368 to schedule a free, in-person consultation with one of our attorneys today. In addition to a vast range of family law-related issues, our skilled attorneys can assist you with personal injury claims and bankruptcy filings. We have extensive experience handling many types of injury cases—including motor vehicle accidents, commercial truck accidents, pedestrian accidents, and more—and have helped numerous clients through the complex process of filing for bankruptcy. No matter your legal issue, our team is here to answer your questions and help you understand your various options. View our case examples to learn more about how we can help you. Whether you are dealing with a serious family issue, seeking legal assistance when facing home foreclosure, or have been recently injured in an accident caused by someone else’s negligence, the dedicated team at Berger & Brown, Attorneys is here to help. We bring a unique mixture of seasoned trial experience and passion as we fight for your rights in settlement or trial. Contact us at (307) 257-6368 today to find out how we can help you with your legal matter. Let Berger & Brown Step In.